As you might have gathered from the start of Part 2, our Monopoly game got delayed by 24 hours or so. You don’t need the details. But luckily we had Bank Holiday Monday as back-up time and we were gonna need it. The browns, the light blues and the stations all lay ahead. At first, it seems like quite an uneven split between the days -17 to hit the first day, 9 the next. But the 9 on the second days are outliers – they require public transport to get to and between. True, the light blues and Marylebone all form a lovely linear stretch but it’s a 3 mile one…so there’s still a bit of fussing with buses to be done. And the triangle of Liverpool Street/Fenchurch Street/Whitechapel Road is just irritating. We’ll talk about that shortly. 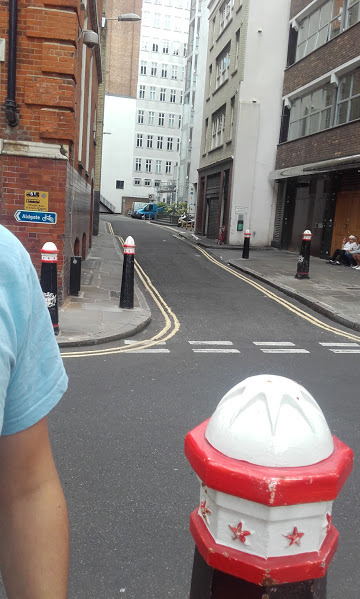 From there, we took a ridiculously convoluted route to Whitechapel. The main ticket office at Liverpool Street was closed over the weekend for maintenance, so we had to go into the tube via an entrance near Platform 1. It says there’s no access to the Hammersmith & City Line etc but today there was. Long, meandering access which brought us back round to the other side of the tickets barriers we’d normally use. Sigh. Then we got the platform and there were no H&C trains, only Met ones. Double sigh. Then I got Aldgate and Aldgate East confused and decided to just jump on a Met Line train because I swore Aldgate was pretty much on the end of Whitechapel Road and we didn’t need to go to the actual station. I was right on the very last point – there was no need to go to Whitechapel station – but wrong on so many others and my dithering saw us catching a number 25 bus straight past an interesting looking park (the Altab Ali Park) to a wholly mediocre one tucked just behind the station. I bring you our first playground of the Monopoly board: Vallance Gardens. The street name may well ring some bells with some of my friends. Again, best not to dwell on these things. I think rum may have been involved. “I can see the gherkin” one of family members proclaimed. Yes, let’s ignore that reminder of just how close we are to Liverpool Street, shall we? We seemed to have been on the go for ages and not achieved very much at all. 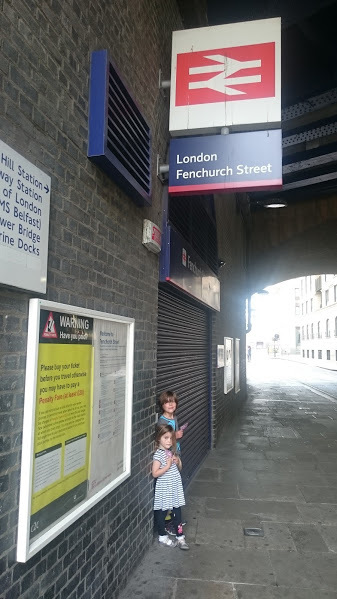 There’s nothing at Fenchurch Strret so we didn’t linger, but it kinda irks me that it’s included at all. It’s fairly insignificant as London stations go – in the 16 years we’ve been in London, I’ve only caught a train from there twice and once might have involved rum. Actually, I think it was whiskey. I dunno. Ask Nathan and his BFF Dave. Point is, it’s a piddly little ‘un – sure, its 16 million annual passengers seems impressive but only until you compare it with the other stations in London. Waterloo has nearly 100 million and even Stratford nearly doubles it with 31 million. It’s 16th on the lsit of London’s busiest stations, beaten by non-termini like Vauxhall and Highbury and Islington. But the whole selection process is a mystery – the four biggest London stations are Waterloo, Victoria, Liverpool Street and London Bridge yet only one makes it onto the board. Why so? Once again, Tim Moore appears to have the answer – apparently Victor Watson (the Managing Director of Waddingtons) came down from Yorkshire to pick the streets and stations for inclusion. He alighted at Kings Cross, which was operated by LNER. saw a poster for three other LNER stations and bam! that was it. They were immortalised in black and greenish. There are a few variations on the story but the arrival at Kings Cross also explains the clusteredness of the light blue set. Again, we’ll come back to that. Gotta love some back doors and bins! 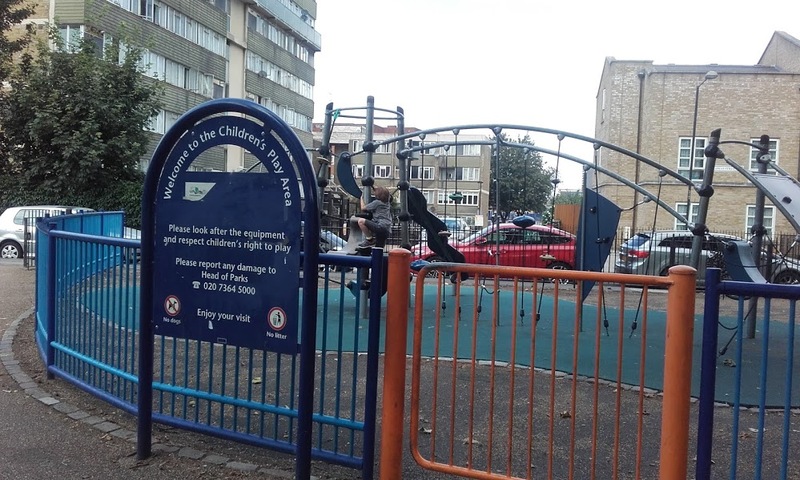 We’d promised the kids another park at Old Kent Road, because (slightly neglected) playgrounds were our theme for the browns. You just don’t get them closer in to Zone 1, ysee. And neither, it emerges, do you get them at the Bricklayers’ Arms roundabout. We’d lived close to there when we first moved up here and I don’t remember a park but Google Maps assured me there was one, right off the roundabout – the Bricklayers’ Arms Recreation Ground. And so there was – we could glimpse it through thick hedgerow. What we couldn’t work out, however, was how to get into it. We walked the perimeter and there was no sign of a gate -so I eventually discerned that you had to go through the estate, which had “Private Property” stamped all over this. We gave it up as a bad job and went to Lidl for ice cream instead. 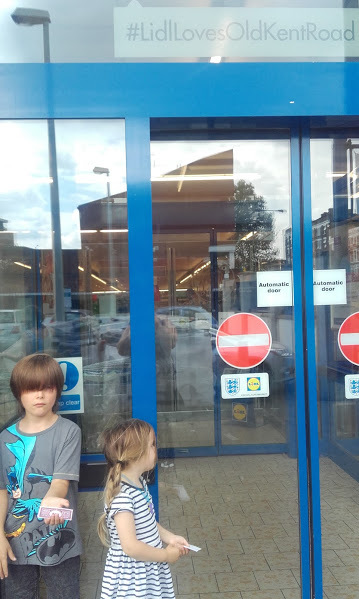 Lidl only sold giant multipacks of ice creams and my children couldn’t agree which one they wanted. The queues were also giant. 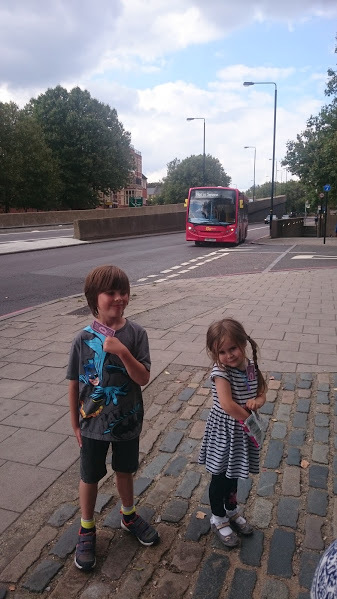 We gave it up as a bad job and went to Elephant and Castle Tesco Metro for ice cream instead. 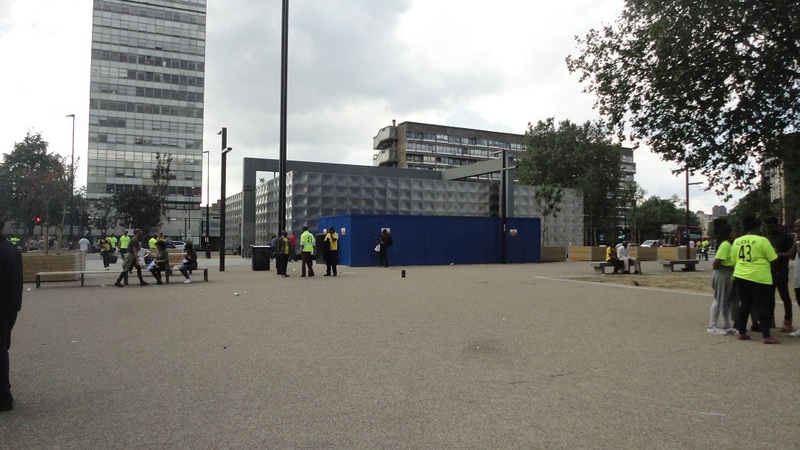 That’s when I was a little surprised by our surroundings – half the Elephant roundabout seems to have disappeared and the pavement now stretches, plaza-style, to the giant silver cube on one side. It was an improvement but a confusing one. The Elephant and Castle pub also seems to have undergone a hipster renovation, doing that thing where hipsters don’t like to put names on the outside of buildings. A lonely-looking pair of letters (“EC”) were the only outward symbols of what had been before. I’ll leave you with that thought to ponder and hope it distracts somewhat from our entirely disappointing Old Kent Road trip (take your kids! You too can look at a park and then look at an ice cream!) . 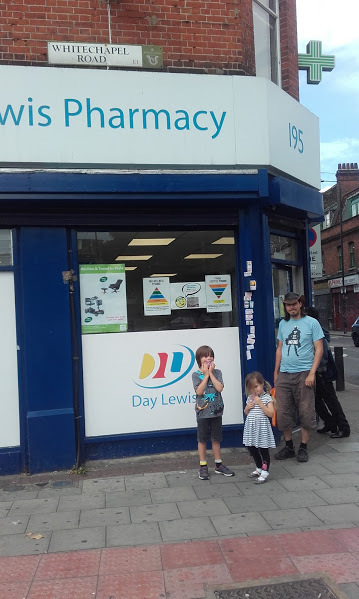 If we’d ventured further down the road we would at least have found Toys R Us but that would leave us both out of the way and out of pocket…so we didn’t. 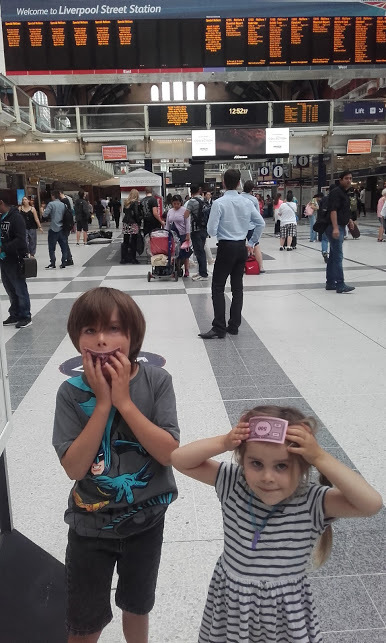 Our next move would take us to Marylebone and beyond but that’s for Part 4 I think…. 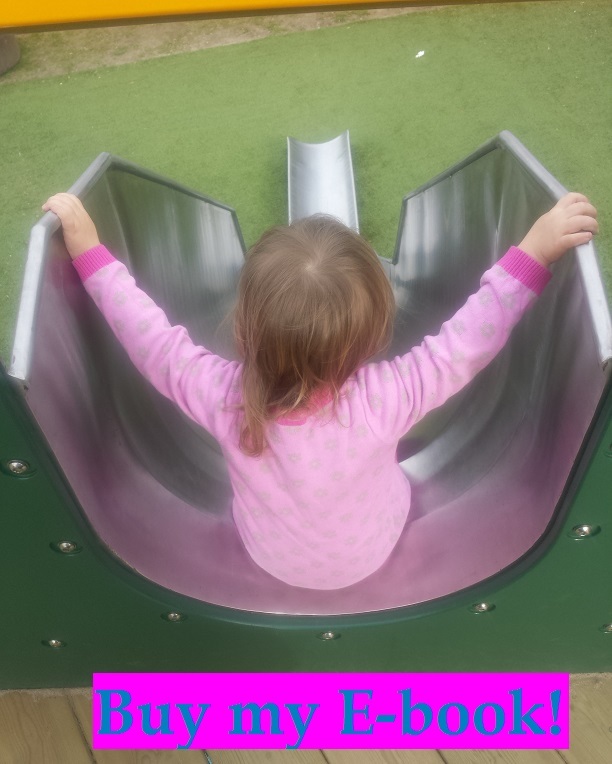 This entry was posted in Creating precious childhood memories or something (days out) and tagged East London, ice-cream, playground, South London. Bookmark the permalink.